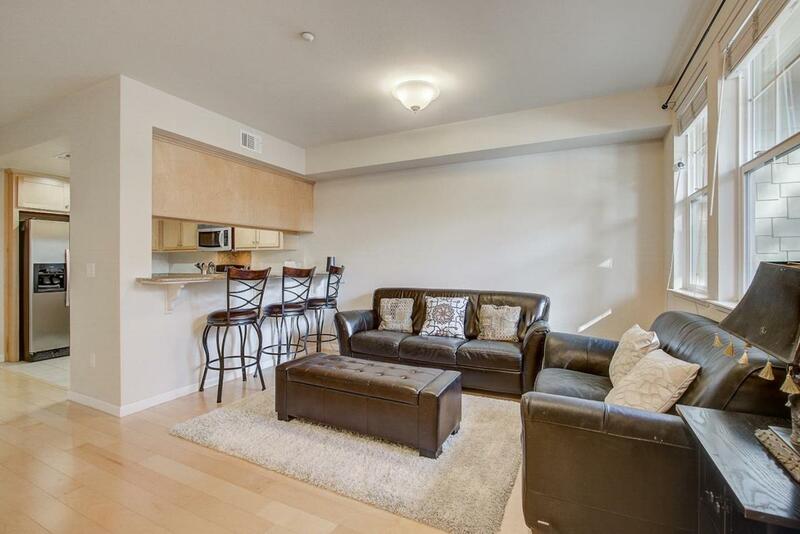 Contemporary 2-bedroom condo nestled in the Crossman Place community. This desirable floor plan features open living spaces, pristine laminate wood flooring, plush carpeting, dual pane windows, and plenty of natural light. Inviting kitchen with stainless steel appliances, granite counter tops, and Birch cabinetry. Spacious master bedroom comes with a well-sized closet and en-suite bathroom. Includes a 1-car garage, 1 assigned parking space, 1 storage room, and an in-unit washer and dryer. HOA covers Water, Garbage and Sewer. Excellent location! Mere minutes away from the Seven Seas Park, Mercado Shopping Center, and local shopping, dining, and entertainment. Facebook and Google shuttle stops are located right in front of the property. Convenient access to many major tech companies, light rail and freeways 101 & 237. Listing courtesy of Sara Bovorn of Redfin.